Video Game Trivia hosted by Virtual Boyz! Stay a while and listen as Sydney’s hardmen of highscores drop trivia bombs with more force than the The Ark, BFG and Temblor Bomb combined. 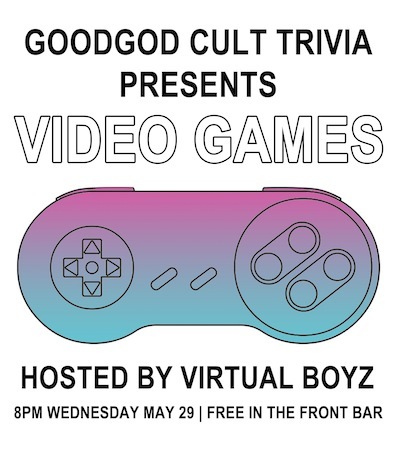 Feel your Dr Braincells curl like Twisted Metal and your Goldeneye flicker involuntarily as the Shining Force of the Virtual Boys brings Maximum Payne to Goodgod Trivia! Everything from the 80’s until now! Bookings available NOW through The Dip.